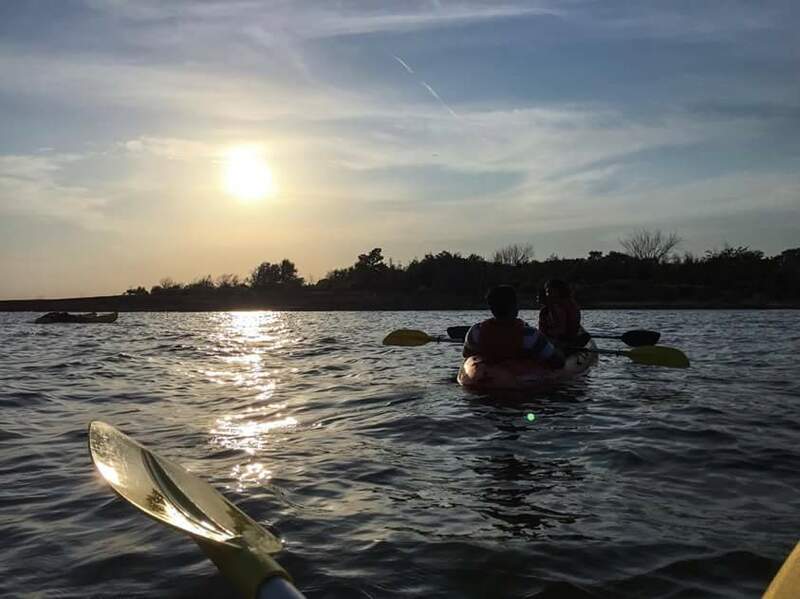 Join us for some fun on the water with a Kayak! 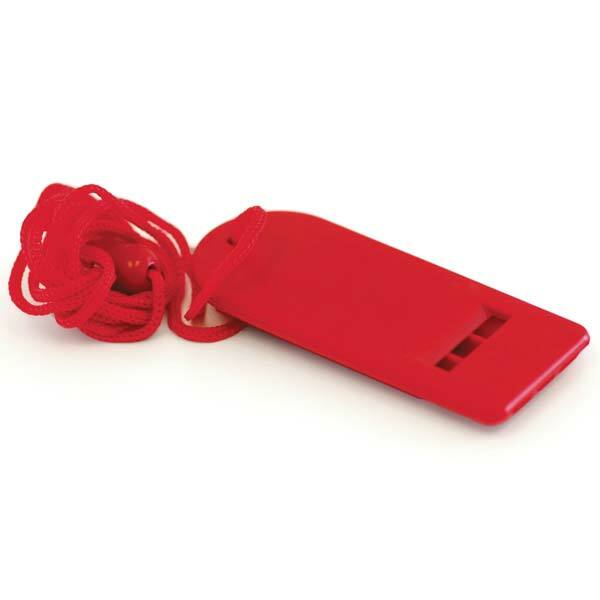 All Kayak Rentals come with Life Jacket, Waterproof Case, Paddles and a Safety Whistle. Find out why your neighbors are never home! 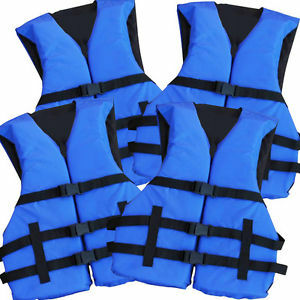 We provide quality sit-on-top kayaks that are easy to use and stable enough to not tip over. We make things easy! 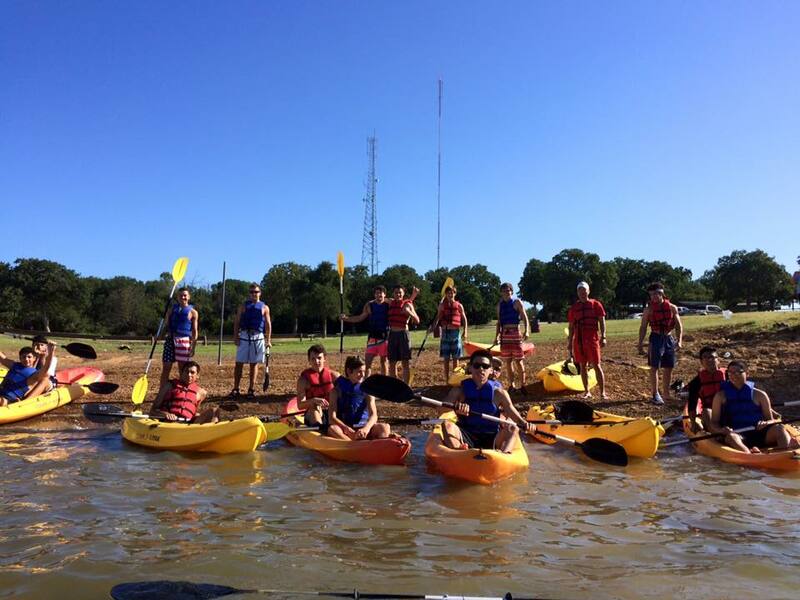 We can launch you right from our waterfront location at Rockledge Park on Grapevine Lake. There are also plenty of areas to picnic and spend the day inside of Rockledge Park. Is it your First Time Kayaking? Or maybe been a while since your last time out? No Worries. 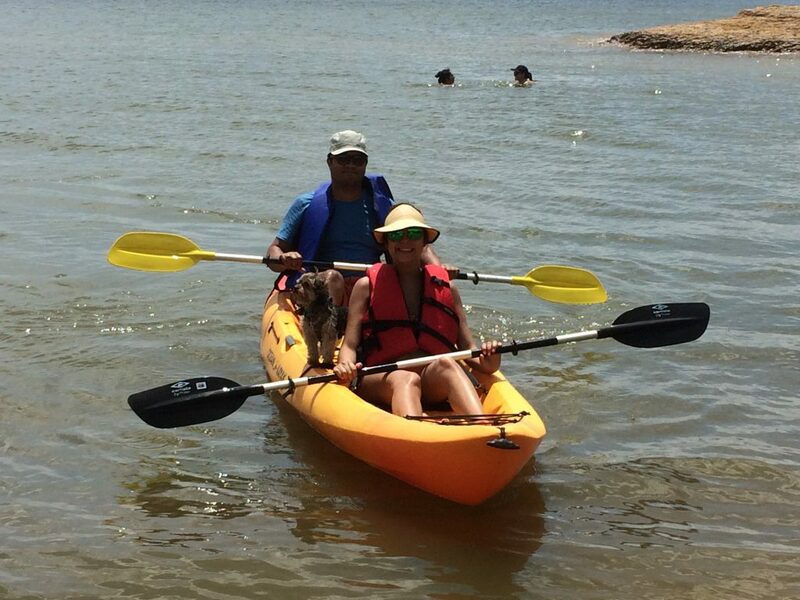 We provide a complimentary kayak paddling instruction before you hit the water. 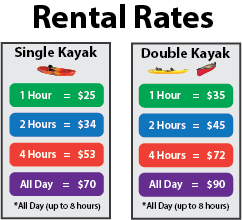 The process to rent a kayak is simple. Our 3 Step Process Makes Things Easy! Step 3 – Arrive to Rockledge Park and get ready to have some fun! Once you arrive at the park, you may park anywhere you like. The red flags and red canopy is where we are located. If you complete the eWaiver online you will not need to print anything out. 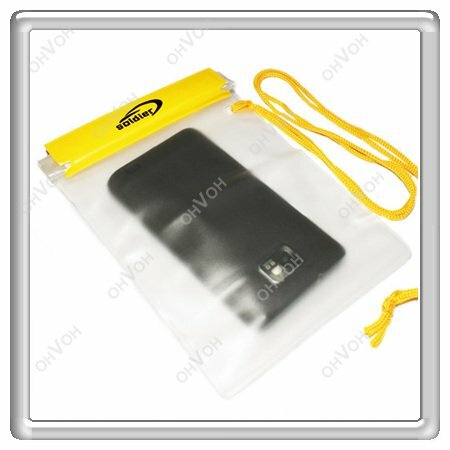 Be sure wear clothes that you won’t mind getting a little wet. We are Pet-Friendly! Bring your furry companion along for the ride! We also sponsor Corporate Events and School Field Trips! We provide fully guided services if your party prefers to have guided trips. 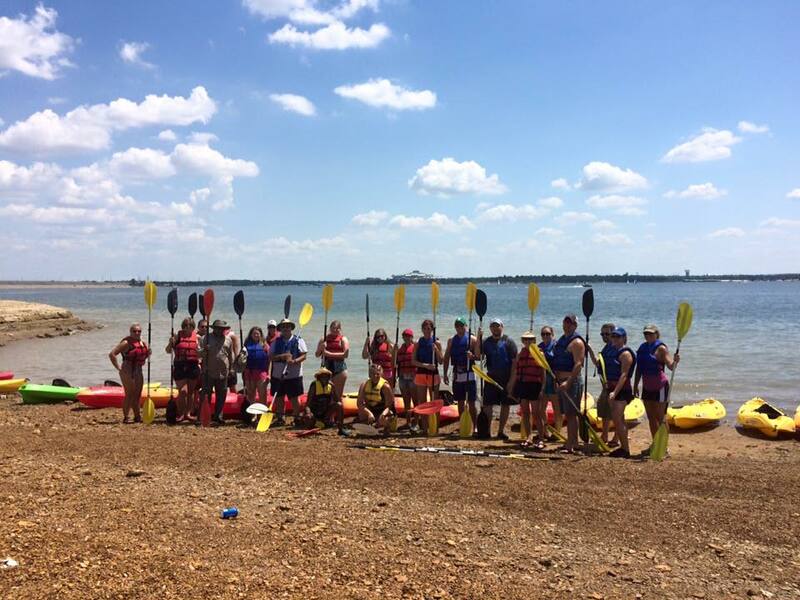 If you have a group or party that you would like us to reserve kayaks or a guided hiking tour for… Please give us a call for pricing (214) 724-8311 and we can send over a quote. Let us know how we can start planning your next adventure today!